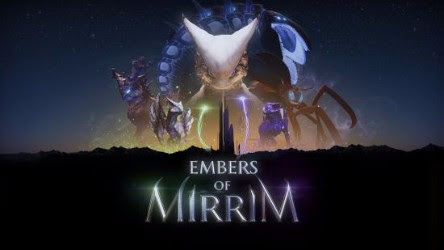 Embers of Mirrim is now available on Windows PC, Xbox One, the all-in-one games and entertainment system from Microsoft, and the PlayStation 4. Begin your adventure as the ethereal creature Mirrim, who has the ability to split into light and dark entities called Embers. Master your powers in order to save your world from corruption! A Stylish Character with Twice the Personality: Mirrim has the ability to split into two playable forms called Embers. The Light and Dark embers are independently controlled by the left and right control sticks, and offer new ways to solve puzzles, overcome obstacles and traverse through the world. Diverse Gameplay: Master innovative thumbstick controls mixed with classic platforming, alter your world to solve intriguing puzzles, battle with gigantic bosses and run for your life from dangerous threats. Infusing these moments with the “splitting” gameplay and a powerful narrative offers a unique gaming experience like no other. Explore the Extraordinary World: A vibrant and colourful universe awaits! Mirrim’s journey will take you from a thawing mountain to an aging forest to a desolate wasteland and more. A variety of hidden secrets are scattered throughout the stunningly rendered environments for you to discover.